A platform where community members share and request free food or clothing items from each other in an attempt to encourage recycling items. Doorstep provides its community members an open marketplace while encouraging community engagement. Users can sign up for a profile allowing them to join or create communities they would like to be a part of. Within these communities, users can post items they currently own for other users within this community to access. Community members can then click on the item’s card and submit a message to the owner of the item. Community members can also submit requests for items they might need quickly, such as a cup of sugar or a pair of new but unworn jeans. 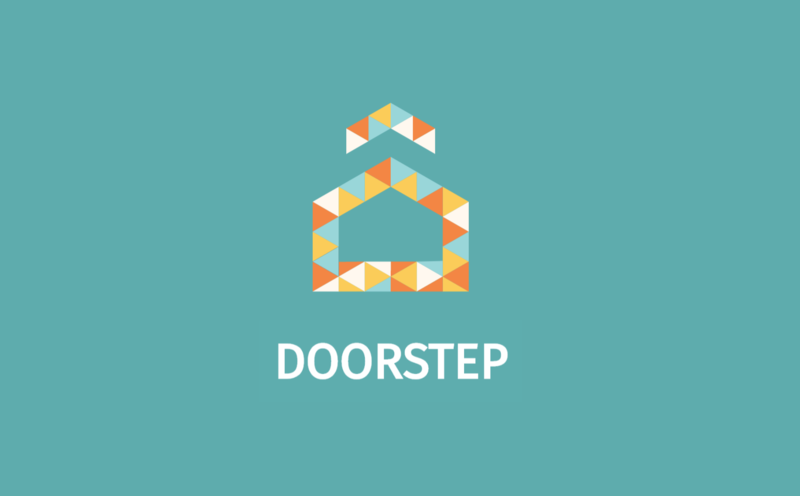 Doorstep allows communities to come closer together by exchanging items the way that neighbors and close friends do. The platform encourages recycling of items and waste reduction so that communities can become more sustainable. Upon registration, user must provide a unique username. In a few simple steps, new users can create new communities and join existing ones. Other users can view your profile, but only you can edit your profile. Users upload images of items they wish to give away within each community, and only members of that community have access to these items. Community profile (including members, description, and marketplace) can be edited. On the navigation bar, users can click on ‘Search Communities’ to see all existing communities. Once they ask to join a community, an email will be sent to that community’s admin. After the admin approves the request, the user will be immediately able to access that community’s marketplace and profile. Any member of the community can post items that they want to give away onto the marketplace. Other members who would like to take the item must click on an item’s card to indicate their interest. 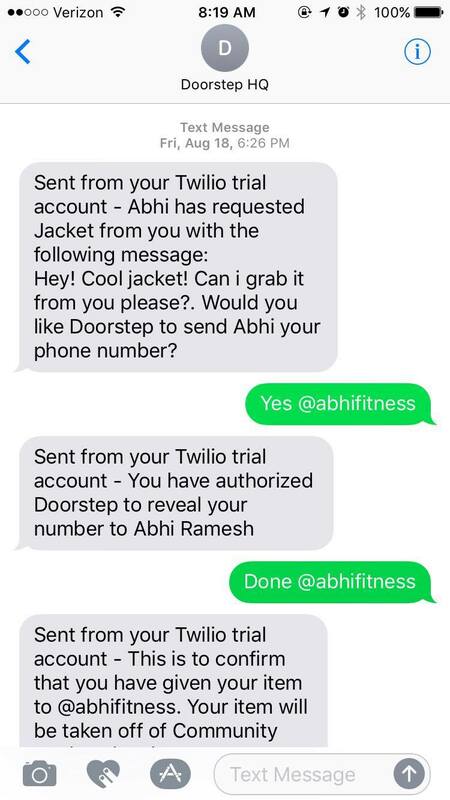 The user will then be put in contact with the item’s owner through an in-app chat, and the two community members can decide when and where to exchange the item. Community members may submit requests to the community for items they need. Other community members can click on the request to fulfill it, and will be automatically put in contact with the requester. Existing members of the community can add new users by username. A suggestion box will prompt for matching usernames. Members can choose to leave a community or remove other members. When a user requests or offers an item on the marketplace, our own messaging system sends a message to the item owner or requester to facilitate communication in between an exchange. Removing an item from the marketplace after an exchange can also be easily done with text messages.